A couple of months ago now Harry mentioned to me that he'd seen a poster advertising a new one-man play at The Old Vic Theatre with Kevin Spacey. So, knowing The Old Vic run a great scheme where you can buy tickets for around £10-12 if you're under 25 and that the opportunity to watch Kevin Spacey in theatre was just too good to miss, I went and bought us tickets. Now, on the day the tickets were released, The Old Vic were also releasing tickets for two other upcoming plays, which was not the best of ideas in my opinion. Having waited on the phone for an hour and a half, I looked at their twitter account which said that, if possible, it would be best to go in person to buy tickets. Luckily I don't live too far from the theatre so I decided to go down. However, when I got there I had to wait in line for about another hour and a half, so really it wasn't the best experience. Luckily, the play more than made up for the hassle of getting the tickets! For this play The Old Vic were only offering under 25 tickets for the dress rehearsal, which was fine with us, we knew that either it would be rehearsal-y (which should be a word! ), which would be really interesting to watch, or, more likely, just like watching the real thing. It turned out to be the latter and it was such an incredible play. It was an in-the-round play which I found very exciting because I'd never before been to an in-the-round or one-man play. We had great seats and were very close to Kevin Spacey, and had only paid £10 to see it, which was wonderful. The play was based on an American Lawyer who worked mostly in the 1920s, usually defending civil rights. Spacey was stunning. I don't think it could be easy to act in a play alone and keep the audience intrigued for the entire time, although Harry pointed out that you'd be completely in control so he'd actually be less nervous if it were him, but Kevin Spacey was captivating. He draws you into the life of Clarence Darrow and as he's reliving the life, you don't hesitate to feel like you're seeing it too. For me, it raised some really interesting points. Darrow despised capital punishment, attempting in most of his cases to ensure that his clients would be served anything but the death penalty. He wrote a paper, discussing his belief that 'there is no such thing as crime'. Which, at first, struck me as a ridiculous statement. But then Darrow's belief is justified, as he claims that crime ought to be treated in the same way as a physician would treat an illness and that, if people had the same opportunities in life, there would be no such thing as crime. It's simply desperation that leads to it. 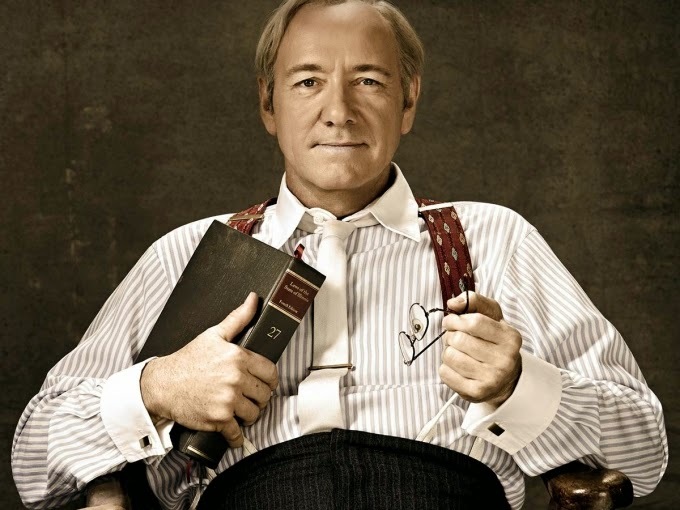 What really struck me was when Spacey as Darrow relived him having written 'we build bigger and better prisons instead of making bigger and better men'. Thinking about it, I think that statement is so true. We don't focus on rehabilitation and the treatment of criminals, instead we just lock them up. But this won't solve the issue, it won't treat the person. It reminded me of a great Youtube video by Hank Green on American prisons today which I found fascinating and I'll put it at the end of this post if you're interested. Of course, it's terribly difficult for me to sympathise with anyone who has committed some of the sickening crimes we hear about, but then again, the play made me realise that sometimes I think that we forget they're people. It's almost as if we just put them away and be done with it. And although I think, to an extent, the system we currently have is working, I'm not sure it's completely right. But anyway, if you have the chance, go and see it - it was a wonderful day and welcome break from revision and Kevin Spacey is absolutely flawless. 1. 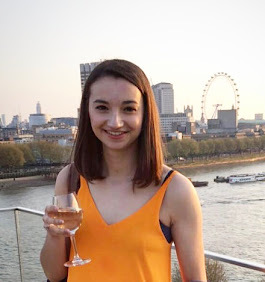 Megfee - I absolutely adore Meg's blog, she truly has a gift with words and whenever I notice that she's put a new post up I genuinely can't wait to read it and see what's going on in her life in New York. 2. The Cup and Saucer - Alice's blog never fails to make me smile, whatever she's writing about, from delicious recipes to thoughts on life and pictures of beautiful Wales and Cornwall, I love her posts. 3. Sometimes Sweet - I've been reading Danielle's blog for something like three years now, a ridiculous amount of time! It's safe to say that I love reading her blog and hearing about her life with her wonderful family in Arizona, I love her outlook on everything and how inspiring she is. 4. From Gem With Love - Gem's is another blog that I've been reading for a very long time. Reading about her life and thoughts, her stunning outfit photos and her amazing recipes is an absolute delight, as well as looking at her lovely new blog design as she's just moved to Wordpress! 5. How Does It Feel - Bella's blog is great. Whatever she's writing about, which is an excellent range of things, I'm interested, her stories of university life make me very much look forward to it myself and she seems absolutely lovely. 6. Mantrapixie - I've only been reading Ellie's blog for a few months but it's very swiftly made its way into my most favourite blogs. Hearing about her incredible holidays and reading about delicious restaurants in London makes me both want to jet off to Indonesia and explore more London restaurants simultaneously.. if only! There are probably many more, but typically when I come to think of them my mind empties, it's always the way! Exams started this week so I'm still spending all my time revising but there's only three weeks to go until they're over and then I'll be back to this little space properly. 5. Go for a driving lesson - I'm hoping the roads will be nice and clear as it will be the middle of the day! Apart from the weather being a little unpredictable over the past couple of days, spring has well and truly hit the UK and I, for one, am loving it. I've never been a huge appreciator of nature, which I get from my Mum who has never really given it a second thought as she claims she's much more interested in people (which I suppose is demonstrated in her career as a psychotherapist), but there's something about seeing the beautiful blossom on trees and the sun shining over them that makes me smile and want to dance around in the blossom with my friends, is that weird?! I like to think not. Needless to say, that is exactly what we did a couple of weeks ago when we went for a walk after having gone out for dinner. It was just so lovely to skip down the road (yes, skip) in the early evening when the sun was still shining and with plenty of blossom to throw/dance around in. Maybe it's the revision that's making us a little crazy, which I hold is most definitely a result of it after I found myself singing songs and linking random words to my philosophy course without realising it for a good five minutes (yes, really! ), or something else, but we all found it hilarious and it really made the day.